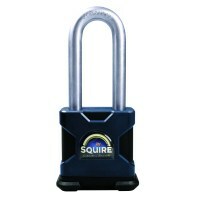 The Squire Stronghold LS38 Long Shackle Padlock is hard wearing and ideal for use on a range of appliances including: sheds, garages, toolboxes, vans and storage areas. 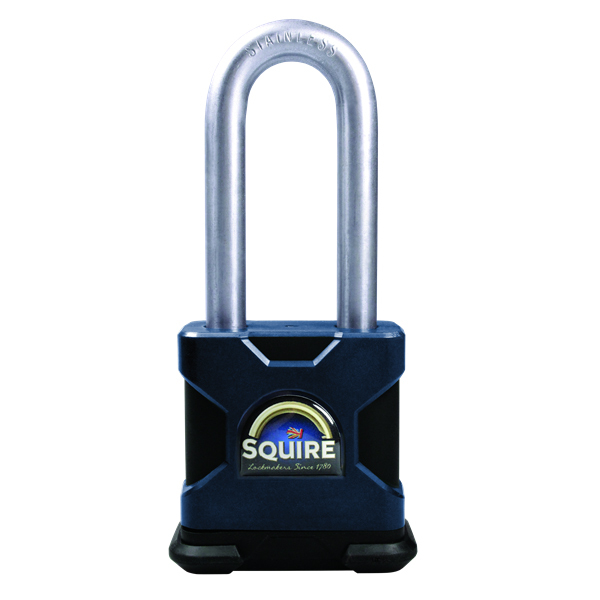 With a laminated steel body and hardened steel shackle, which is also double deadlocking with a keyed to differ ball locking pin tumbler, the product's offers excellent corrosion resistance, making it more immune to sustaining damage. The Squire Stronghold LS38 Long Shackle Padlock also comes supplied with two keys (keyed to differ) and a 10 year guarantee.